French-born, and now Brooklyn-based, artist/designer/musician Benjamin Løzninger likes to merge digital storytelling with experimental branding. This past summer Løzninger’s C/Loud Project took to the streets of Paris and Brooklyn. 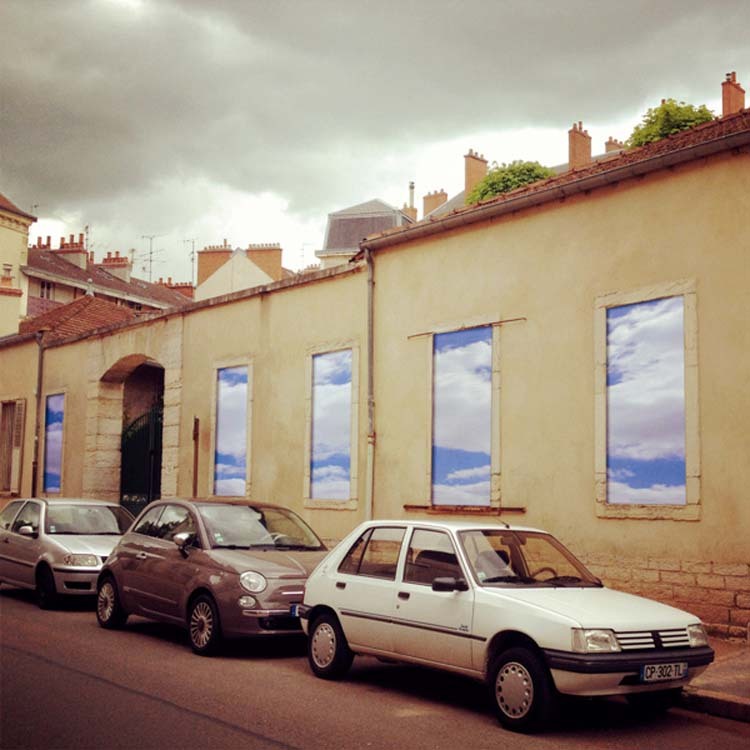 With the idea of seeking refuge from some of life’s daily worries or the “dull bluntness of ocular reiteration,” the artist covered the sides of buildings, garage doors, billboards and more, with large digital prints of cloud-filled blue skies, subliminally suggesting a head-in-the-clouds effect. The hope is to provoke a smile, breath, or at a minimum a moment’s pause in the viewer’s day. 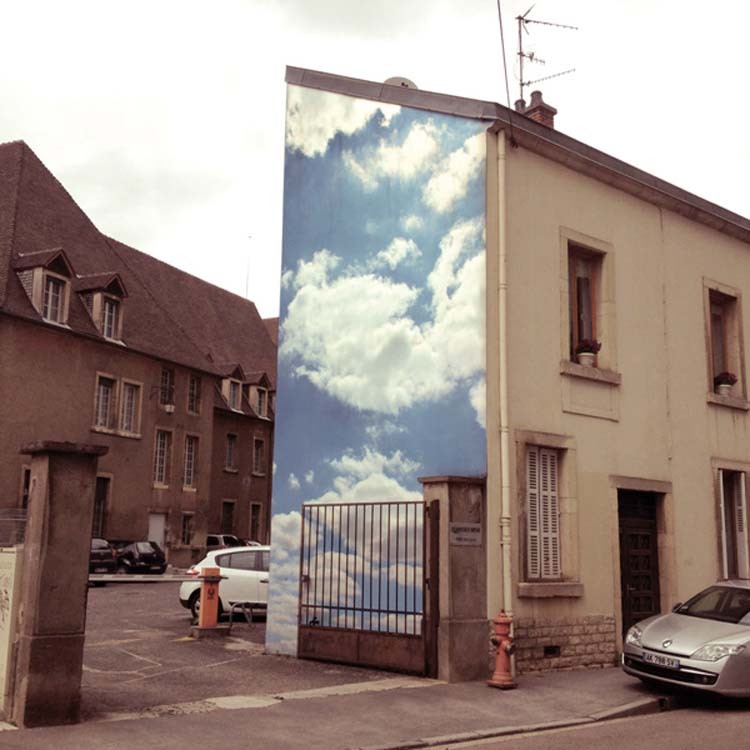 This entry was posted in Art, Fun, Photography, Pop Culture, Street Art, Stuff We Like. Bookmark the permalink.